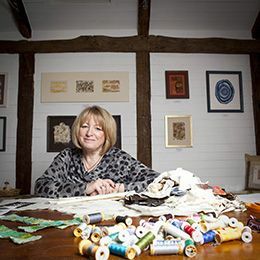 After closing my workshop in May 2015, One Fat Quarter in Nailsworth, Glos I am carrying on stitching and sewing. Please take a look around to see what I'm doing now. I am still happy to hold classes for small groups or if you would like help with a project on a one to one basis please do get in touch. Details of day workshops and classes are on the Classes and Workshops pages.